"Test amplification has a great potential to cover multiple contexts and configurations", tells Lars Thomas Boye, Tellu Senior Developer. He contributes to improve and automate software testing for TelluCloud in a DevOps approach, ensuring its correctness and robustness in a cost-effective way. A three pages article about STAMP tools and methodologies has been published in the March 2019 issue of the French printed publication Programmez! Amplifying tests in a DevOps approach, the STAMP open source toolset improves Java test suite and reduce deployed application crashes. Mutation testing examples and use cases are provided in this article. Mutation testing tools allow online services to be modified and released several times a day. 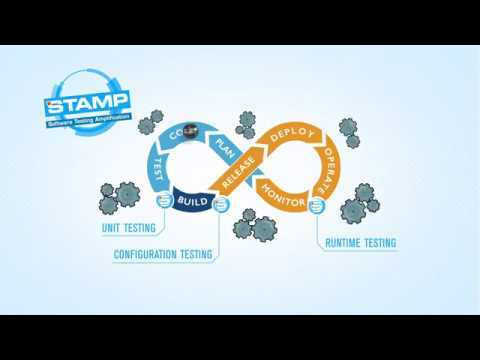 View the primer video to discover how STAMP pushes automation to DevOps one step further. STAMP stands for Software Testing AMPlification. STAMP brings test automation and amplification to the DevOps world. Check out the five use cases. They come from different application domains, such as collaboration and knowledge management, smart cities, workflow automation, open source middleware and eHealth software. And they provide new experimental foundations for the STAMP testing automation toolkit. Be part of the growing STAMP community. Subscribe to our user list and stay updated. Check out the next opportunities to meet the STAMP project team, at your convenience. Are you facing an issue or a bug while working with STAMP tools? Please let us know.